David McLaughlin teaches our David McLaughlin Mandolin video, which features five of the most well known tunes he recorded during his tenure with the Johnson Mountain Boys. David has recorded and performed extensively since the 1970s. 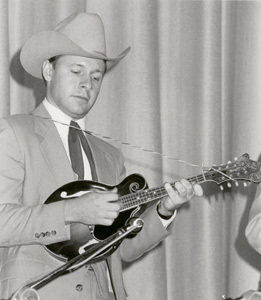 He is most well-known for his brilliant mandolin playing with the Johnson Mountain Boys. He also performed on guitar and recorded with Josh Crowe in the duo Crowe and McLaughlin during the nineties. He has also played with the Lynn Morris Band, David and Linda Lay, and Seneca Rocks. He lives in Winchester, Va., where he records in his high-tech basement studio, performs locally, and raises two beautiful daughters. David owns and operates the Nancy Shepherd House Inn bed and breakfast in Winchester, Va. After decades of painstaking restoration work, this 1700s house is back to its original state, complete with a tavern in the basement. A truly charming place to stay, especially if you are interested in historical properties.